I had to do a QUICKIE post about Paloma Faith, as I just found the artwork for her final single lifted off Do You Want The Truth or Something Beautiful?, "Smoke & Mirrors." As if the AMAZING video wasn't enough to get excited about, we also have remixes coming from Widower, Pete Phantom and the ever amazing True Tiger. "Smoke & Mirrors" is due out October 24th. Faith has also contributed a version of the 1970 hit "Lola" to a new compilation album from Ray Davies. The album features songs first recorded by Davies with The Kinks. Faith is currently hard at work on her sophomore album. UK fans can check out her Fall headlining tour beginning next month with opener Eliza Doolittle. 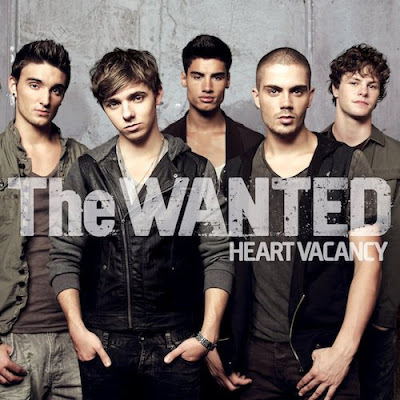 Nathan, Jay, Siva, Max and Tom (AKA The Wanted) are back with "Heart Vacancy," single #2 off their forthcoming debut self titled album. The follow up to the more up-tempo "All Time Low," "Heart Vacancy" calls to mind CLASSIC American boy band ballads of the late 90s/early 00s. Bands like the Backstreet Boys, *NSYNC, LFO...those guys had it all. The Wanted are VERY much in that same vein and I think that's a compliment to the boys, their producers and their record label. I also think that it was wise to first release a snappier, up-tempo pop song like "All Time Low" which wound up going all the way to #1 on the UK Single Charts. While it was inevitable that The Wanted would release a ballad eventually, starting out strong with something a bit dancier is always a wise move. The sappy video channels the Giuseppe Tornatore classic, Cinema Paradiso, complete with a cast of characters including a little boy and a projector. All throughout the video The Wanted boys mope around this little picturesque Italian town, singing sadly as they make their way through the narrow streets. The song showcases EACH boys' vocals, not to mention their good looks. While "All Time Low" might be more my cup of tea, I do appreciate that these Abercrombie Models singers can in fact sing. I'm interested to see how this single does on the charts when it's released on October 18th, followed by the album release on October 25th via Geffen. Check out the video below. Oh and on an unrelated note...does anyone else think Max kinda looks like Shayne Ward? Whoever thought that there'd be a "malaria anthem" as hot as this? While it's no "Insatiable," "Promise This" is a decent return-to-form for Cheryl Cole. "Promise This" is the first single off of Cole's forthcoming sophomore album, Messy Little Raindrops and is a nice, up-tempo dance/pop track that "celebrates her victory over malaria." While the track was actually written months ago, the timing couldn't be more perfect to release it as a single now. Messy Little Raindrops is shaping up to be even more "commercial" than Cole's will.I.Am-heavy debut album 3 Words, as she is rumored to be clocking studio time with the likes of Ryan Tedder, Mark Ronson, Jim Beanz, Ne-Yo and more. While all of those guys are fine and good, I'm REALLY excited about planned collaborations with Ellie Goulding and electro producer Starsmith. FIRE! "Promise This" is due out on October 25th and is backed by remixes from Almighty and Nu Addiction. Oh and apparently it's already been confirmed that Cole's second single will be called "The Flood." More information to follow. Looks like Cheryl Cole is BACK! Hopefully with her reported U.S. X-Factor duties combined with UK X-Factor and her upcoming new album release, she doesn't overdo it and exhaust herself. I'm rooting for you Cheryl! Check out the beautiful Sophie Muller-directed video below.